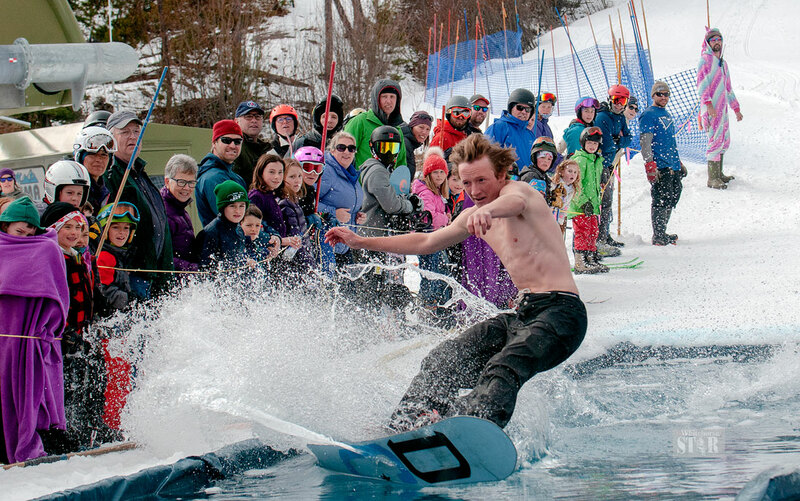 Byron McCormick soaks the crowd during the Slush Cup. He was the last rider down the mountain. Sisters Maria and Charlotte Billingsley head through the pool at the bottom of the bunny hill hand-in-hand. Yukon freestyle skier Etienne Geoffroy-Gagnon competes in the Big Air competition while onlookers watch as he heads towards the landing. Miquel Rodden drags his hands off the jump while flipping during the Knuckle Huck. 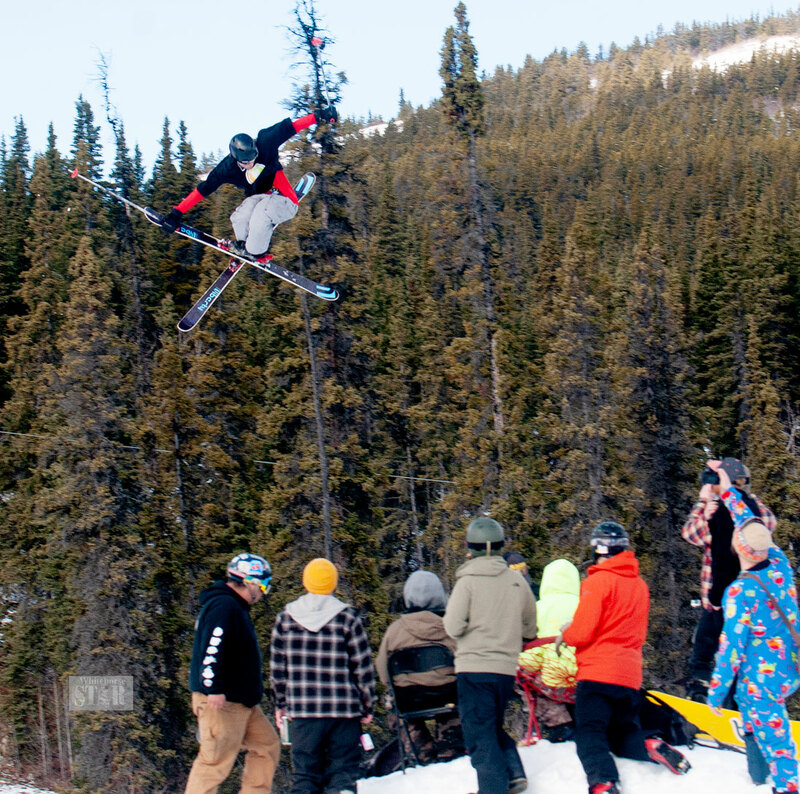 Mount Sima had its annual Simapalooza over the weekend. Simapalooza featured concerts as well as many snowboard and ski competitions. The day moved to Knuckle Huck. 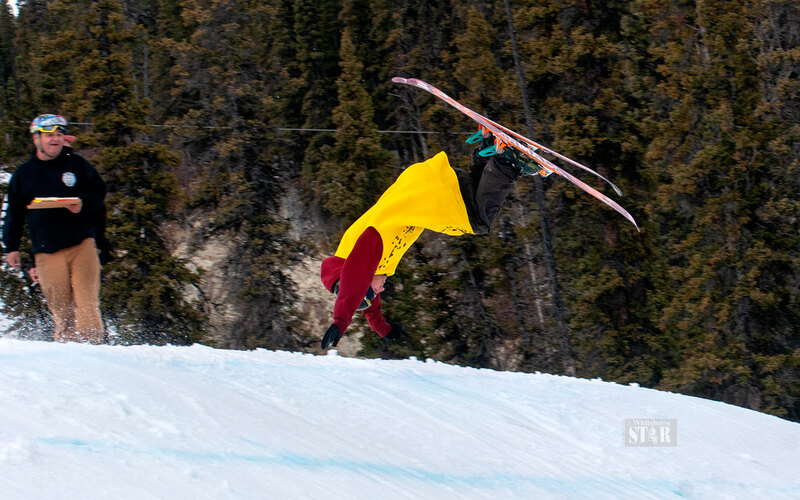 Instead of using the jump for big air the athletes in the Knuckle Huck use the landing to do tricks off of. After the Champion of the Hill was named, for skiing or snowboarding down the hill the quickest with a full glass of water, the day ended with the Slush Cup. 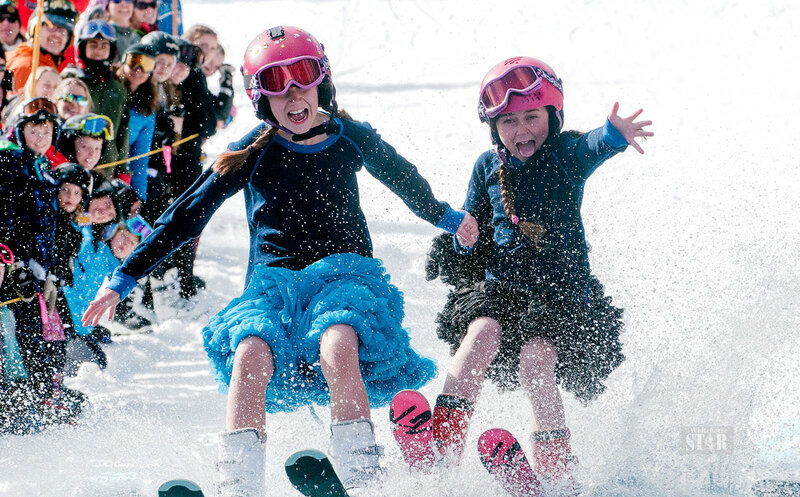 Participants in the Slush Cup skied or snowboarded down the bunny hill towards a pool of water. Their goal was to have enough speed to make it to the other side. The following are just a few pictures from the final day of Simapalooza.